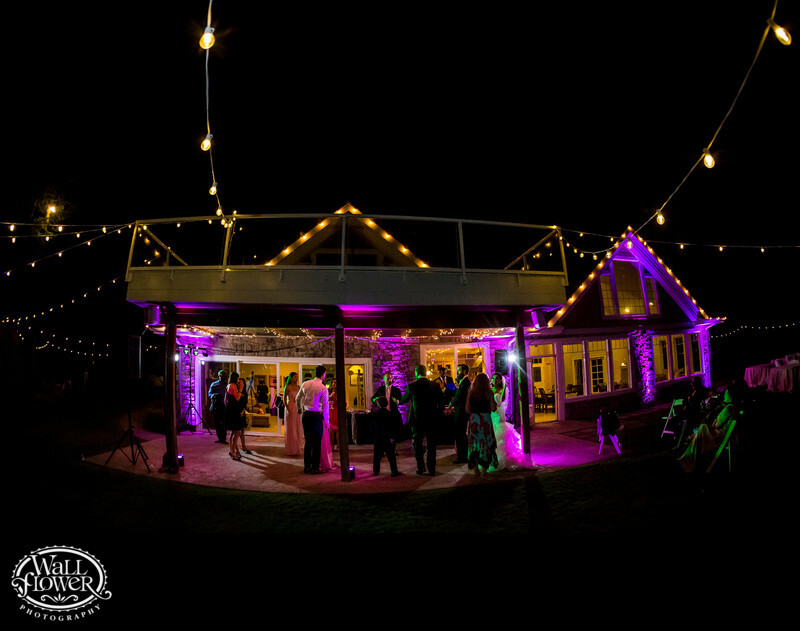 The Edgewater House in Ollala, Washington has a sheltered back porch that served as the dance floor for this wedding reception. Purple uplights, the venue's own strings of lights, and a pair of my photographic flashes provide a lot of color, illumination, and lines that lead your eye into the dance party at the center of the frame. My use of a fisheye lens provided an extremely wide angle of view that bends the edges of the frame a bit.